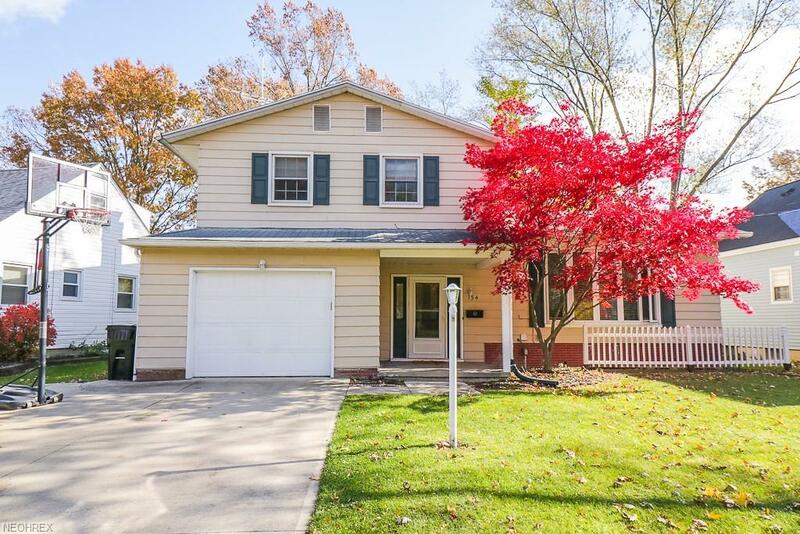 Nicely updated home nestled on a low traffic, desired street on Elyria's North side! 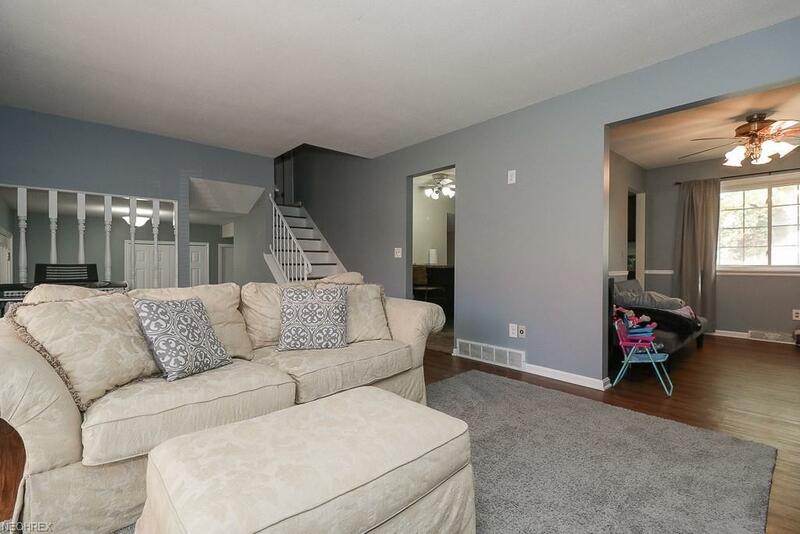 This home has great interior appeal with tasteful paint/flooring selections & no carpeting! Newer interior doors & crisp white painted trim gives a modern feel. 1.5 baths! Central Air! Fenced backyard! Large foyer entry with tile flooring. Family room has a cozy woodturning fireplace! 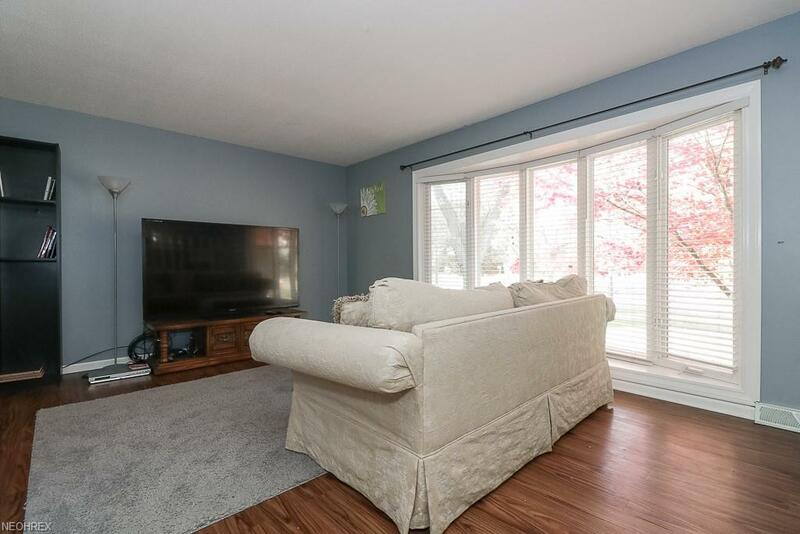 Living room has a beautiful full wall bow window, wood laminate flooring. 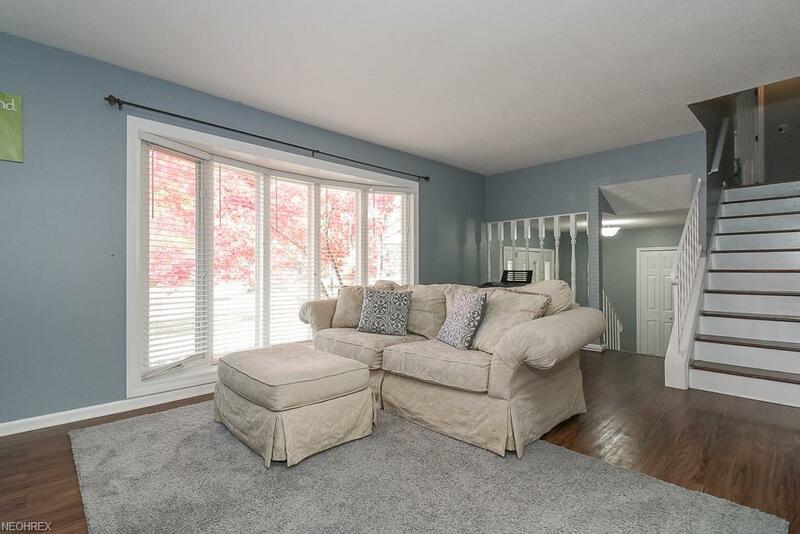 Updated kitchen with tasteful appeal, newer cabinets, counters, tile floor & appliances stay! Dining room is currently used as a play room. Basement is partially finished with an additional room with closet! Built in storage in the laundry area. Patio and storage shed complete the backyard that's fenced in! Concrete driveway is aprox. 10 years old. Beautiful residential street setting among mature trees & backdrop! Just around the corner from the incredible Valley of the Eagles Golf course and close proximity to LCCC/highways/conveniences! Great price for the neighborhood and updated appeal!